Join the TRIBE community on 25th May for a stunning trail Marathon or Half Marathon in the beautiful Chilterns, followed by a summer festival with live music, street food, summer cocktails and good vibes. Whether you’re a seasoned trail running pro or it’s your first time venturing off-road, the TRIBE 10% Project: TRIBE x Maverick Run Free will bring together 1,000 runners of all levels across the country with one mission: to train together, to push our limits and to discover our infinite potential. Last year, a whopping 75% of the TRIBE 10% Project team beat their PB, with an average improvement of 7.2% on their PB. TRIBE are lining up a series of specialist trail runs and training sessions to get you race-ready! Join us for the very first event of the series. 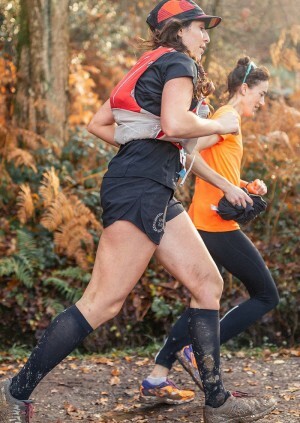 We are teaming up with Maverick & inov-8 to explore the trails of Epping Forest. Trail experts from Maverick will be doing an "Intro to the Trails" talk, inov-8 athlete Ben Mounsey will be leading the pack on a 10K trail run, TRIBE will be fuelling the run and we'll be finishing with a team lunch. 11:3/12pm: Finish at the The Larder at Butlers in Epping for a team coffee/lunch. Coming soon... It's going to be EPIC!